2014 Webinar Series. Boston Technologies Has Got You Covered! Boston Technologies receives a BBJ's 2014 Pacesetters Award, for the third year in a row! 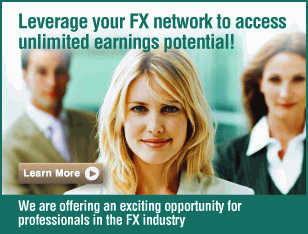 Visit our booth at Turkey FX Conference 2014! Come Visit our Booth at iFXEXPO 2014! Kevin Millien Departs as Chief Marketing Officer of Boston Technologies, Inc.
Today Boston Technologies recognized the outstanding efforts of the 2012 Summer Interns! Boston Technologies is pleased to announce that it has partnered with Tradency, the developer of Mirror Trader™, to offer advanced trading technology to Boston Technologies’s FX customer base. Immediate Availability - 11 Minutes to "Starting Your Own Brokerage"
On Wednesday, June 13th Boston Technologies will be hosting 2 free webinars for its Start Your Own Brokerage (SYOB) service. On Wednesday, May 9th Boston Technologies will be hosting 2 free webinars for its Start Your Own Brokerage (SYOB) service. Boston, MA – April 26, 2012 – Boston Technologies is pleased to announce that the company was recently recognized as the fastest growing company in Boston and designated as an Elite Pacesetter by The Boston Business Journal for 2012. To make the list, a company had to report annual revenue growth of at least 20 percent. The recognition comes less than a year after Boston Technologies was named to Inc. Magazine's Inc. 500 list of fastest growing private companies nationwide. Boston, MA – April 9, 2012 – Boston Technologies is pleased to announce that Lead411 has named it one of “Boston’s Hottest Companies” for 2012. Information gathered by Lead411 is used to identify the fastest growing companies in the U.S. Their "Hottest Companies" awards have been created to recognize these fast growing companies in different geographic regions. This particular list originally started with over 2,100 companies and it has been narrowed down to the top 62. "We have been tracking fast companies for our customers for the past 10 years," said Tom Blue, CEO of Lead411, "and we felt it was important to recognize these growing brands publicly." “We’re pleased with this award as it signals continued momentum for us into 2012 and validates our technology approach combined with our unrelenting attention to customer satisfaction" said George Popescu, CEO of Boston Technologies. On Wednesday, April 11th Boston Technologies will be hosting 2 free webinars for its Start Your Own Brokerage (SYOB) service. Boston, MA – March 22, 2012 – Boston Technologies is pleased to announce that the company was recently named to The Boston Business Journal’s 2012 Pacesetters, a list of the region’s fastest growing privately held companies. To make the list, a company had to report annual revenue growth of at least 20 percent. The recognition comes less than a year after Boston Technologies was named to Inc. Magazine's Inc.500 list of fastest growing private companies nationwide. "Our selection by the Boston Business Journal continues our momentum into 2012 and represents another significant milestone for Boston Technologies. We are very pleased to part of this prestigious group and to be recognized for our contributions to business growth in the region. I strongly believe that one of the reasons why we did so well is because Boston is the perfect cradle for entrepreneurs and young companies. I wouldn’t have started Boston Technologies in any other city, pun intended." said George Popescu, CEO and Founder of Boston Technologies. Boston, MA – March 14, 2012 – Boston Technologies is pleased to announce that IDG's Computerworld Honors Program, which honors visionary applications of information technology promoting positive change, has selected Boston Technologies as one of its 2012 Laureates. "The Computerworld Honors program was especially competitive this year, as more than 500 IT initiatives were nominated for their innovation and benefit to society," said Julia King, executive editor of events, Computerworld. Boston, MA – December 13, 2011 – Boston Technologies is now offering access to Hotspot FX's anonymous FX ECN coupled with its proven FX technology services and suite of products. This service is geared for retail forex brokerages, small to medium size hedge-funds and other institutional FX market participants. The addition of Hotspot brings institutional quality liquidity to market participants that formerly could not economically or efficiently access Hotspot FX liquidity. Utilizing Boston Technologies' prime brokerage, technology and back office infrastructure allows clients to access Hotspot liquidity seamlessly and transparently while reducing trading costs. Boston, MA – November 8, 2011 - Boston Technologies Inc., an innovative provider of trading technology, software, support and transaction processing services for institutional and retail foreign exchange brokerage firms, announces the addition of options trading to its established spot trading solutions with FX Options Trader. By adding FX Options Trader to its already robust portfolio of forex trading solutions, Boston Technologies now provides a comprehensive and customizable platform for retail and institutional FX options trading. With strong industry growth in FX options volume, brokers can diversify their product offering by providing retail clients an FX options platform with extensive benefits including no margin calls. Boston Technologies is building on its proven model of offering complete spot FX outsourcing infrastructure solutions to forex brokers by now giving them access to a powerful suite of FX options trading tools. From a feature-rich system and extensive risk management strategies to comprehensive reporting, this dynamic options trading platform, developed in partnership with FX Bridge Technologies Corp., allows Boston Technologies to offer everything a broker would need to differentiate itself from spot-only trading. Boston Technologies is currently offering FX Options Trader to all foreign exchange brokers for free as a trial for the first three months of trading. George Popescu, CEO of Boston Technologies, is quoted in the October 2011 issue of e-Forex Magazine sharing his opinion of cloud computing in the FX market. Read the full magazine here: Offering Wider Market Access - Cloud Computing Proves Well Suited to FX. Below is an excerpt from the article. Cloud computing services are widening access to the FX market and helping firms to better integrate front, middle and back-office functions. Joe Morgan examines in what ways use of cloud computing can improve the operational capabilities of trading desks and allow FX firms to fine tune their offering. Boston Technologies, Inc., a world-leading innovator and provider of trading technology, infrastructure, and software for institutional and retail foreign exchange brokerage firms, has been recognized as company No. 143 on the 30th annual Inc. 500 list of the fastest-growing private companies in the U.S. Boston Technologies joins an impressive alumni group of companies such as Oracle, Zappos, Vizio, Intuit and Microsoft, who all gained early exposure as members of the Inc. 500. Boston Technologies announced today that it closed its first round of institutional financing, in an All Debt Finance deal with Bridge Bank and Gold Hill Capital, for $2.5 Million. The company, founded in 2007, has been self-financed and profitable every year since its inception. In the past 12 months, Boston Technologies has more than doubled its revenue, grown its headcount aggressively by adding 38 technology professionals and continues to hire in its main three locations, Boston, New York and London. Boston Technologies is excited to announce that they have opened a new office in the heart of London's financial district in the City of London. Earlier today Boston Technologies was pleased to receive at our offices the Mayor of the City of Boston, the Hon. Mayor Thomas M. Menino during his tour of South Boston's Innovation District. The mayor was given a tour of our premises during which he was given a presentation regarding Boston Technologies' business operations and the company's contributions to the growth of the Innovation District. Boston Technologies has recently developed a new feature in the BT Back Office that allows brokers to add markups and view reports based on an individual agent basis. Empower your premier Forex sub-brokers and IBs with key tools to their success and gain greater transparency into their trading performance. Boston Technologies would like to welcome Ian Danielson and Sam Martin as our new Business Intelligence team members. Squared Financial Services and Boston Technologies are pleased to announce, through their partnership they are now offering their clients access to the MetaTrader 4 trading platform. Senior Sales Manager Jeff Grossman commented,"We are delighted with Boston Technologies as our strategic partner in MT4 technology. We are convinced MT4 trading functionality will enhance our customer's trading experience and opportunity in trading. It is the most frequently requested automated trading tool for independent professional traders and white label brokers, it is an essential element in our offering for these segments".